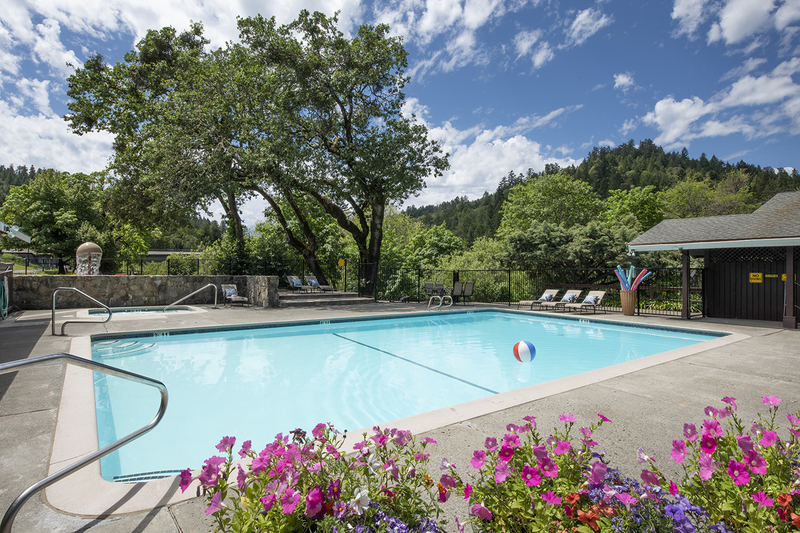 Our pool, tub, and water park are a short walk from the Inn to the Benbow KOA. All guests staying at the Inn are welcome to use the outdoor pool. The pool is open from May 1st to October 31st. Our pool features handicap-accessible steps and ladders. More information is available on our Accessibility Features page.